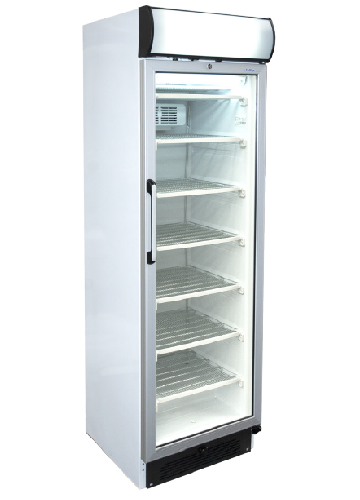 In this section you can find large-capacity upright display freezers for products such as ice cream, cakes, pre-cooked dishes... which can keep your products in perfect conditions while making them visible thanks to their insulated glass door and their product highlighter spot-light. Ideal for hotels, bakeries and all types of spaces that need store and display frozen products. 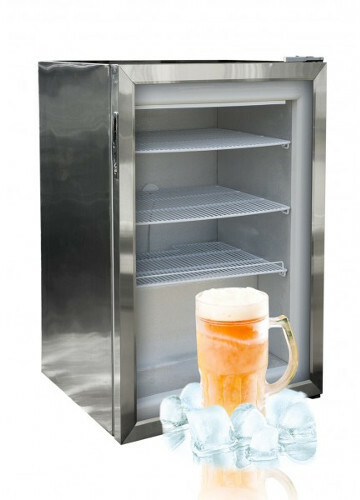 On top of that, we offer smaller freezers, ideal for frosting cups, glasses and beer mugs in short time, to quickly serve cool beverages. Perfect for the catering chanel, since they take very little space while allowing several glasses to be frosted at a time.